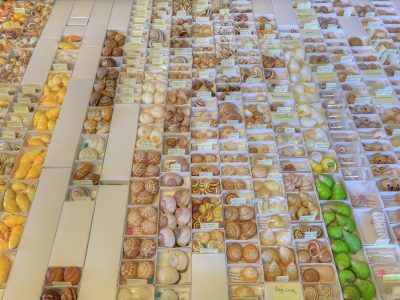 BOOBOOK’s Principal Ecologist Craig Eddie has collected and identified land snails since childhood. His school holidays were frequently spent on collecting trips or volunteering at the Queensland Museum. 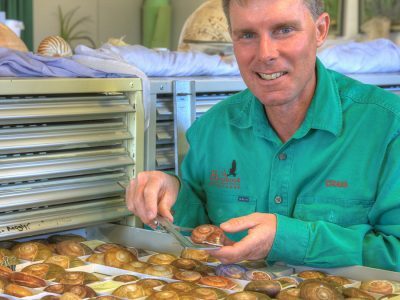 Not surprisingly Craig started his working career as a Technician at the Mollusc Section within the Queensland Museum. He remains an Honorary Technical Assistant and maintains strong links with this organisation. 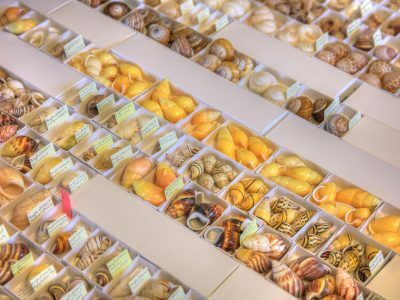 Craig also has a large private research collection and continues to donate hundreds of land snail samples to the Queensland Museum. 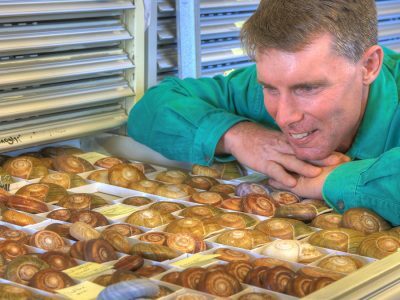 Craig has undertaken several regional studies including the only detailed land snail survey of Queensland’s Lockyer Valley. Although only a stone’s throw from Brisbane this study, undertaken while he was still at university, uncovered a remarkable land snail fauna associated with vine thicket patches. Multiple new species were discovered several of which have been named in his honor. 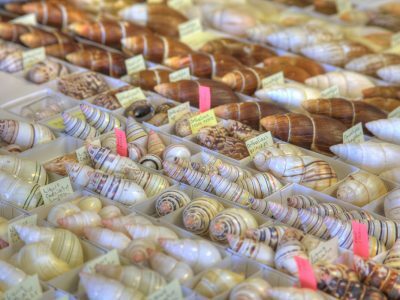 Although Craig has collected and surveyed land snails in most Australian states, he is particularly passionate about the land snails of Queensland’s Brigalow Belt – a rich agricultural area that still contains vegetation remnants with a surprising diversity of land snails. Here he has climbed mountains, trekked up gorges and crossed numerous gullies all in the pursuit of snails. Numerous new species have been discovered in species-rich habitats such as vine thickets, brigalow forests and scree slopes. A less diverse but surprising land snail fauna has also been found in many drier habitats less frequently associated with land snails such as grassland, White Cypress Pine, Bulloak and Mulga communities. Brigalow Woodland Snail (Adclarkia cameroni). Customised guiding for research purposes.